During a cycling trip through the Eifel national park last week, a new weakness called Illusion Gap was extensively discussed in the media. Security researchers at CyberArk detected a feature in the Windows SMB Server that allows attackers to bypass Windows Defender, and possibly other anti-malware products, when serving an executable from a file share. For more details please see Kasif Dekel’s excellent post at the CyberArk Threat Research blog. First of all, an attacker must convince a user to execute a program that installs a specially crafted SMB server service on a Windows system. Since administrative privileges are required to do this the perfect victim should either work with permanent administrative rights or should at least have access to an administrative account he can leverage for UAC. Finally, the attacker must install a malicious and a clean version of the executable on the newly created file share and trick a user to run the executable from the share. Since the attack complexity is high and authentication is required the likelihood of rapid detection is high. This is aggravated by the fact that the execution of programs from file shares is often used as indicator of compromise. With this, we should not waste our time with Illusion Gap. This entry was posted in Opinion, Survival tips and tagged CyberArk, Illusion Gap, SMB Server Service, UAC, WIndows Defender on October 5, 2017 by Klaus Jochem. In the past weeks I tried hard to get an idea of the capabilities of Blue Ridge Networks AppGuard. To be honest, I would not like to miss AppGuard anymore. AppGuard creates the really good feeling that, under certain conditions, many cyber-attacks are simply rendered ineffective. AppGuard is a perfect means against all kind of Trojans and downloaders, in particular zero days. Characteristic for this kind of malware is that the malware directly drops a malicious program or downloads a malicious program from the attacker’s server and executes it afterwards. This includes e.g. most of the known Ransomware. 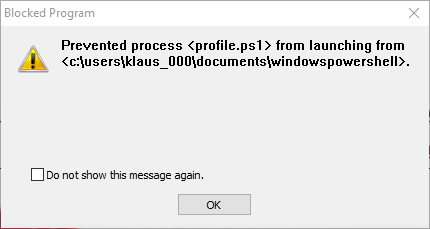 The User Space and MemoryGuard concept just blocks this kind of malware out-of-the-box, provided that the User Space concept is not undermined by a user who is working with high privileges permanently. In fact, if the user works with privileges which allow the Trojan program to store files outside the User Space, the concept will no longer work. It is strongly recommended to work with the least possible privileges under normal conditions. For the case higher privileges are requested, set up an extra account with the required privileges and supply the credentials of this account if UAC requests higher privileges. More advanced malware may try to use the Windows auto-elevation feature to acquire higher privileges and to compromise AppGuard. To protect from auto-elevation attacks just set UAC to ‘Always notify me’. This works even in the case of a gaming computer, where e.g. WOW and TeamSpeak are heavily used. Why shouldn’t it work on a standard system? 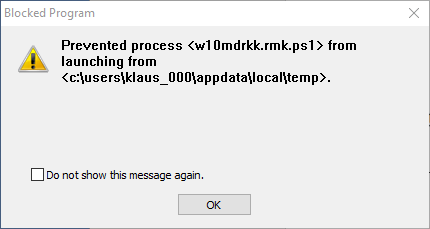 In addition, it is strongly recommended to disable macro execution in all kind of office software, e.g. Microsoft Office, OpenOffice or LibreOffice. Memory Guard protects against all kind of zero-day drive-by downloads, PuP (Potentially unwanted Programs) or file-less malware. My comprehensive security stack. Click to enlarge. AppGuard does not protect against any kind of password phishing attacks. Although popular internet browsers block many malicious URLs through URL reputation, e.g. SmartScreen Filtering in Internet Explorer or Firefox, this will not protect in the case of zero-days. 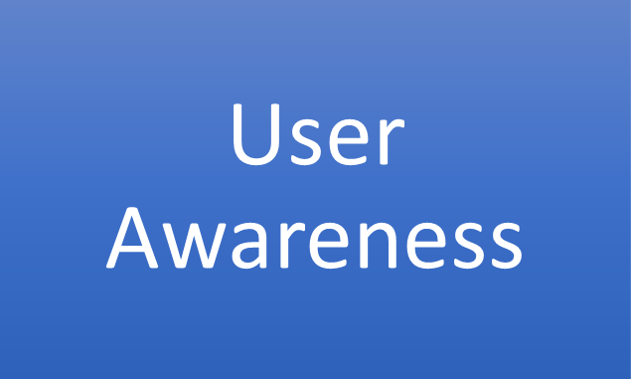 User awareness is the basic part of the entire security stack! To put it succinctly: The proposed security stack will dramatically reduce the risk of cyber-attacks. Blue Ridge Networks AppGuard is an important component of this stack, in particular for the protection against all kind of zero-days. 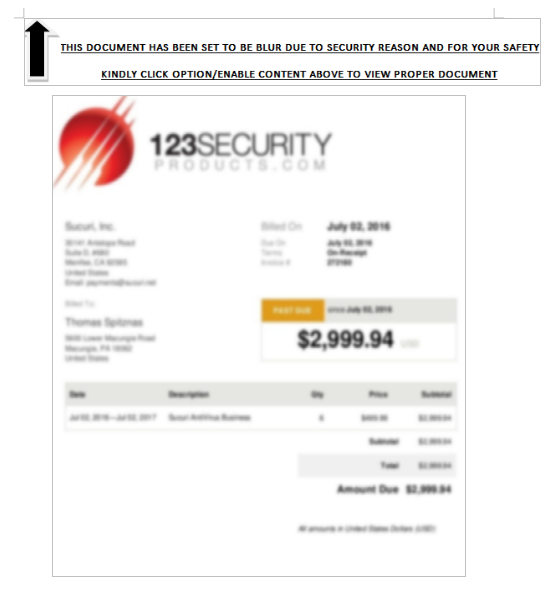 This entry was posted in Advice for SMEs, New Technology, Opinion, Survival tips and tagged AppGuard, Blue Ridge Networks, Drive-by-Download Attack, Security Stack, Trojan, Two factor Authentication, UAC, Zero-day Malware on July 17, 2016 by Klaus Jochem. To get a feel for the impact AppGuard has on daily operations I worked mainly on my test system in the past weeks. My test system is a 6 years old Dell Inspiron 1445 with 4 GB of RAM and a 240 GB SSD. The latest version of Windows 10 is deployed and all out-of-the-box Windows security options like Windows Defender and SmartScreen are activated. 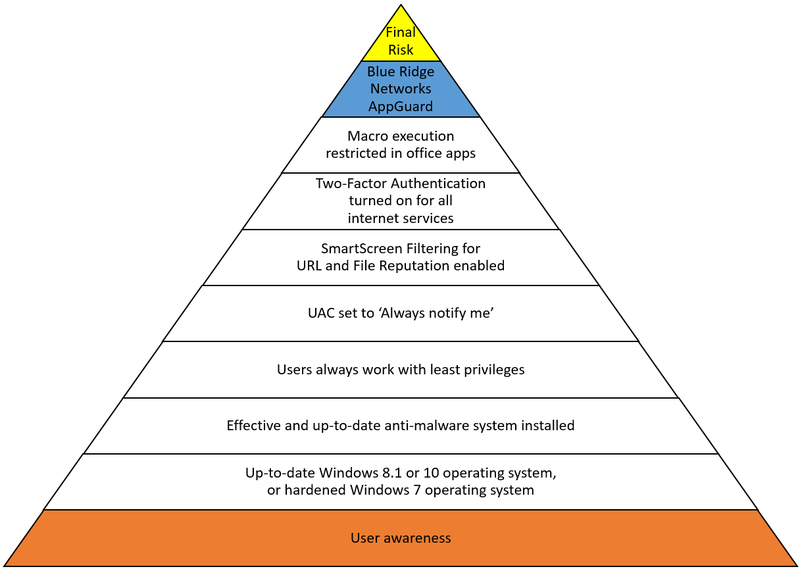 I work with standard user rights; UAC is set to ‘Always notify me’. Macro protection for the office suite is set to ‘Disable all macros with notification’. AppGuard is installed on top of this security stack to protect from all kind of zero days. AppGuard does a really good job in blocking the execution all kind of zero-day malware from user space. But how well works AppGuard in the case of somewhat more advanced malware? I searched for a new PowerShell based malware on malwr.com and found Invoice_201604469.doc. I opened the document and followed the instructions to execute the AutoOpen macro. MemoryGuard is a really charming concept, and out-of-the-box available after installation. This concludes my tests. The experiments of the past weeks show that User Space and MemoryGuard are useful security features. They complete the Windows built-in security features, and provide additional protection, in particular in the case of zero-day malware. This entry was posted in New Technology, Opinion, Survival tips and tagged AppGuard, Blue Ridge Networks, MemoryGuard, Microsoft Defender, PowerShell, Smartscreen Filter, UAC, Zero-day Malware on July 9, 2016 by Klaus Jochem. It’s high time to migrate to Windows 10. The free update phase ends in July 2015, one year after the first release of the most secure Windows operating system ever. Windows 10 is the best choice for home users and SME. The core Windows 10 OS with the integrated SmartScreen application and URL reputation check and Windows Defender already provides a good security out-of-the-box, at no additional cost. This entry was posted in Advice for SMEs, Opinion, Survival tips and tagged Free upgrade phase, SME, UAC, Windows 10 on July 2, 2016 by Klaus Jochem. Nearly every day one can read horror stories about new ransomware variants in the media. The new variations encrypt not only the victim’s files. In addition, they change the computer’s configuration to make recovery with windows tools harder, thus to add weight to their ransom demand. The PETYA ransomware overwrites the master boot record of the computer’s hard disk. The 7ev3n ransomware e.g. disables the Windows default recovery options by executing some bcdedit commands. In addition, this variant allows components to run with elevated rights without displaying a UAC (User Account Control) prompt. With this, recovery from a ransomware attack becomes much more difficult and elaborate. But this is also a clear indicator for the lack of basic cyber hygiene. When signed in as standard user one will just get the error message ‘Access is denied’ when a bcdedit command is run from shell program. The same is true for the PETYA ransomware that overwrites the master boot record of the computer’s hard disk. Without administrative privileges and with UAC set to ‘Always notify me’ it is just not possible to destroy the master boot record, or to get elevated rights by using the auto-elevation capabilities of Windows. Period. Basic cyber hygiene will not avoid the risks of ransomware, but it is a good preventive means for reducing this and lots of other risks. Manage the use of privileged accounts—no users should be assigned administrative access unless absolutely needed, and only use administrator accounts when necessary. 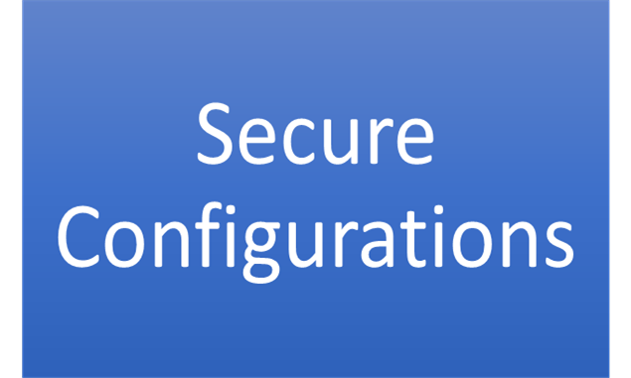 Configure access controls, including file, directory, and network share permissions appropriately. If users only need read specific information, they don’t need write-access to those files or directories. Disable macro scripts from office files transmitted over e-mail. Great tips, easy to implement, even for SME and end users. This entry was posted in Advice for SMEs, Opinion, Survival tips and tagged 7EV3N, Bypass UAC, cyber hygiene, FBI, PETYA, Ransomware, UAC, User Account Control on May 21, 2016 by Klaus Jochem.